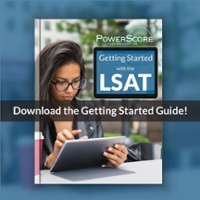 I was hoping someone could give me their opinion/advice on study methods for the LSAT. I’m planning on taking the exam sometime over the summer which leaves me about 6-7 months for drilling lsat problems. I’ve taken a dozen pts thus far and have been improving very slowly 147-150/153. My old strategy for studying would be to review my exam sections then do a section over again untimed. I noticed that I would still have a few wrong but I would review them and move on. My professor told me a better approach would be to continue working on those sections because if I really reviewed and understood them I should be receiving a 100% untimed. So that’s what I’ve begun doing. I printed an excel sheet with all the PTs I’ve taken in the past and left a box for each section. I work between two PTs throughout the week doing untimed sections and reviewing until I’m able to get every question correct. Once i get 100% i shade the box and move on. Although i am working on the same LR LG and RC questions and can remember some answers i still go through the motions of answering the questions and explaining why the wrong ones are wrong and right ones right. I do my sections untimed since I’ve read that getting down accuracy before speed is the best approach. I’m concerned however that this will not help me reach my goal by the summer (165+). I’ve been self studying over the past several months and have cancelled previous test dates because I knew from my pts i wasn’t ready to take them. My biggest fear is that I continue with a study strategy and with only a month or two left see that I still haven’t reached my goal score. Please let me know what you think of this strategy if there is a better way or maybe something else I can do on top of it I’d greatly appreciate it. Also, i haven’t taken another PT since I’ve started the new study method. I’m hoping to do so once I’ve reviewed (with my new method) at least half of the pts I’ve already taken. Can you give more insight into what you used to study before you started solely on PTs? If you've only done PTs throughout your studying, you may be lacking in the fundamentals. It would benefit you to learn those - the PowerScore Bibles are, naturally, a good resource on question types, LG types, diagramming conventions, conditional reasoning and formal logic, and other foundational topics. I think doing the same questions repeatedly will rapidly reach a point of diminishing returns. You're just remember previous work rather than figuring out how to apply concepts to new questions. Doing questions again in a review session isn't a problem at all, but it seems as if you may be doing the same questions three or more times in a short time span. This isn't going to challenge you appropriately. Since you have so much time before the test you plan to take, you may reach a point where you have to return to old questions to continue to practice. If it's been months since you've seen a section, redoing that section isn't going to be as big a deal. My objection to your current approach is that it seems like you're seeing the same questions three or more times in rapid succession. 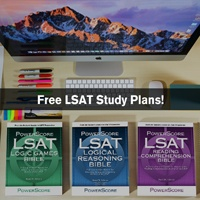 Lalala123 wrote: I was hoping someone could give me their opinion/advice on study methods for the LSAT. I’m planning on taking the exam sometime over the summer which leaves me about 6-7 months for drilling lsat problems. I’ve taken a dozen pts thus far and have been improving very slowly 147-150/153. My old strategy for studying would be to review my exam sections then do a section over again untimed. I noticed that I would still have a few wrong but I would review them and move on. My professor told me a better approach would be to continue working on those sections because if I really reviewed and understood them I should be receiving a 100% untimed. So that’s what I’ve begun doing. I printed an excel sheet with all the PTs I’ve taken in the past and left a box for each section. I work between two PTs throughout the week doing untimed sections and reviewing until I’m able to get every question correct. Once i get 100% i shade the box and move on. In general I don't have an issue with doing questions over until you get them all, but I always worry about question bias due to you having seen them. So, doing them repeatedly isn't optimal in my opinion. I'd suggest putting them aside for a few days, then returning to them. Not only do you get perspective, but you won't remember everything quite as well. Second, you mention explaining the questions, and I'd encourage you to keep doing that. Teach them to another student if you can, so you can see how well you really know the details! Next, keep in mind that it's not so much about getting 100% as it is about understanding. Focus on what you are learning from each question. Missing a question is okay as long as you learn something from it! Last, you mention doing questions, but I also hope you are tying that to a broader strategy for taking this test. For example, listing everything you've missed is great, but you also want to see connections between those misses. Otherwise you will keep making the same type of errors. So, make sure to find the related problems in your misses, and then make sure to study the sections that talk about those types of concepts! Thanks Dave and Robert. To clarify further I spent several months prior reviewing all three of the powerscore Bibles. I know the question types and have developed my own strategies for completing RC questions. For LG I did this same approach where I would repeat games over and over repeating set ups and answering questions till I got 100%. I read somewhere that this approach to LG is really good because ultimately LG games are similar in nature and getting accustomed to how you’ll diagram rules approach question types etc through repetition will improve your score which for me it has. I guess because it’s helped me with my LG section I’m trying to do the same for other sections as well. I think moving forward I’ll be more mindful the types of questions I’m getting wrong and see if there are patterns. I’ll dedicate days to reviewing that question type over again. 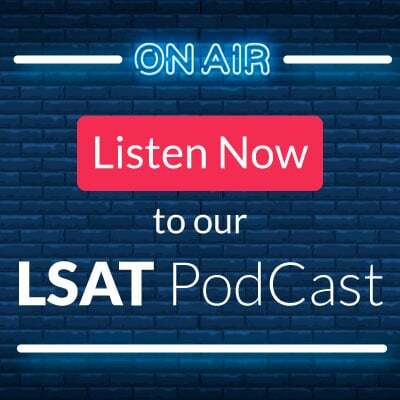 Do you have any advice about running out of LSAT preptests? I have the latest three LSAC books (the ones that come with 10 prep tests each) and I’ve almost completed all of them. Should I continue to take more PTs or can I dedicate more time to focusing on the ones I’ve completed before testing with new ones since I feel like I’m running low on fresh tests. 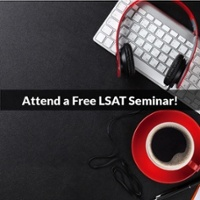 Lalala123 wrote: Do you have any advice about running out of LSAT preptests? I have the latest three LSAC books (the ones that come with 10 prep tests each) and I’ve almost completed all of them. Should I continue to take more PTs or can I dedicate more time to focusing on the ones I’ve completed before testing with new ones since I feel like I’m running low on fresh tests. Get more tests for sure! 30 is solid, but I'd do more. 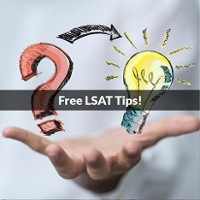 Remember, every LSAT gives you different looks at how they present the concepts (which don't change much), so the more questions you see, the better it is for you as a test taker!